Meet our newest member, Sabrina Desjardins. 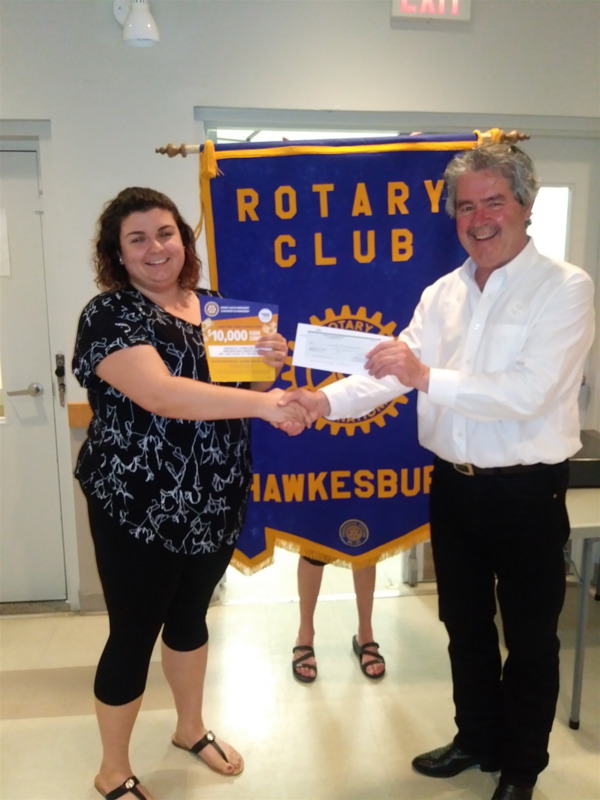 Hawkesbury Rotary is pleased to offer our 2016 trip draw. The grand prize is $10 000 worth of travel anywhere you please. There are also prizes for second and third as well as every 50ieth ticket. There are only 250 tickets for sale at $100 each. Join us for this reverse draw on Tuesday, May 31 at La Cité Golf club at 6:30 pm where a snack buffet will be provided. Here's your chance to win the trip of a lifetime ! 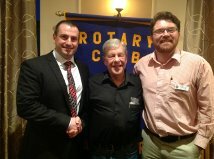 Meet our newest member, Les Gann. He and his wife, Carol, moved into our area after Les retired from a career with Ontario Hydro most recently at the Bruce nuclear power plant. With one daughter in St. Eugene and another in Halifax, Les has already established himself as a regular at the Hawkesbury Golf club. Winters are spent in Florida with the rest of the snowbirds. 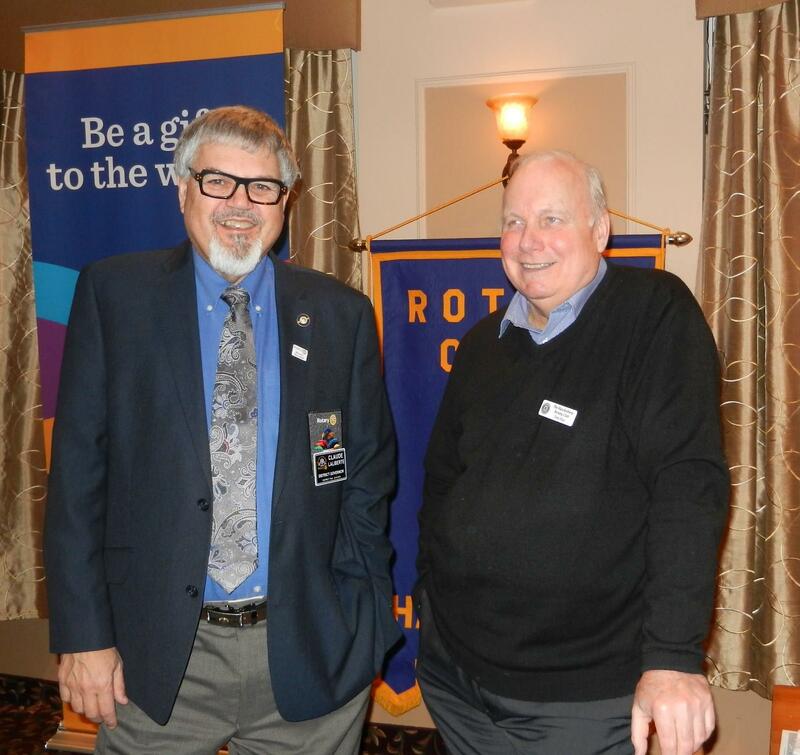 Welcome to Rotary, Les. 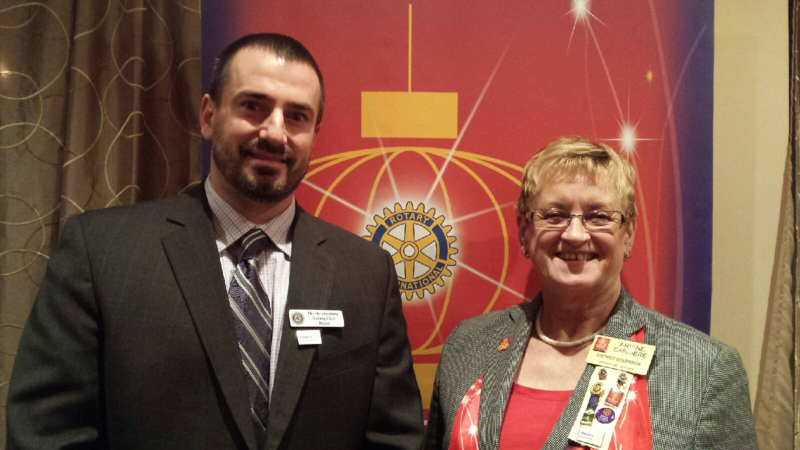 We were pleased to welcome our District Governor, Ariane Carriere, along with her husband Fred. She shared an inspirational Rotary video which can be seen on our Facebook page.